Talent can break barriers. Just ask Luka Modric. The Croatian midfielder just claimed his first Ballon d’Or trophy, ending Ronaldo’s and Messi’s reign as the world’s top footballers. There are those who disagree with the decision, but Luka Modric will take it, especially after everything he’s been through. Football was an escape route for many of the kids during those awful days when life hung on a piece of thread. Yet, bomb shells weren’t about to stop them. 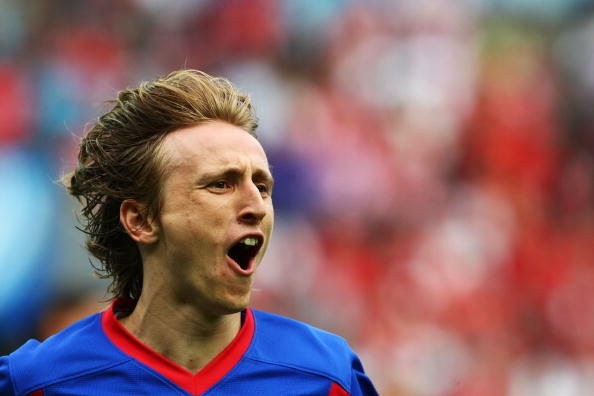 Quiz: How much do you know about Luka Modric? It is time to test your knowledge about the Real Madrid magician midfielder, Luka Modric. Good luck and have fun. Training under fire must not have been fun (to say the least), but it certainly toughened up Modric’s mentality. As a small, skinny boy, the odds were already against them. Growing up in a war zone only added insult to injury. However, his talent, passion, hunger and a helping hand guided him to the top. That helping hand was Tomislav Basic, one of Modric’s first coaches at NK Zadar. As an innocent, young kid, Modric was rejected by his dream club Hajduk Split, at which point he contemplated giving up on his dreams. Basic was the one who provided support until he eventually moved to Dinamo Zagreb. Football life wasn’t easier there either. Luka Modric was loaned to lower level clubs Zrinjski (Bosnia and Herzegovina) and Inter Zapresic in the suburbs of Zagreb. His talent shone through regardless and he was rewarded with a 10-year contract by Dinamo as an 18-year-old. The first thing Modric did? He bought a flat for his family so they wouldn’t have to be refugees anymore. That brutal background played a key factor in shaping who Luka Modric is today. The remnants of the war still remain in the village of Modrici as a reminder the past. A God in Zadar, Modric is considered the best player the region has ever produced. 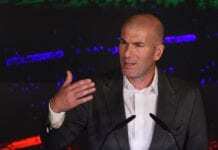 His career path took him to Tottenham Hotspur and Real Madrid, and recently earned him the Golden Ball as World Cup 2018’s best player in a Croatia squad which made a highly unlikely run to the final. UEFA player of the year and FIFA player of the year followed, and now, Ballon d’Or came knocking on the door. When you come from a place where there’s a sign that says “Mines – keep out!” and you just won the Ballon d’Or, you know you have come a long way. Luka Modric has walked a path not many of us on planet Earth have and he should be proud for it.